Henna is a small shrub native to West Asia and North Africa, called Lawsonia Inermis (Botanical name)The leaves are picked, dried, and pulverized to a fine powder. It is a natural base for hair coloring and cosmetic use and an alternative to the chemical tints which may have side-effects. It has been in use in India and many other countries for hundreds of years as a hair dye & conditioner. When used for hair coloring, Henna plates and protects the hair shaft, allowing the color chosen to be reflected through the hair, while enhancing the natural color. Henna is also a conditioner. Regular use of Henna texturizes hair, giving it body which becomes more evident on regular application. . It can be used as a conditioner once a month. It adds body and shine to fine, dull lifeless hair. Your hair color seems brighter because the hair has more shine. 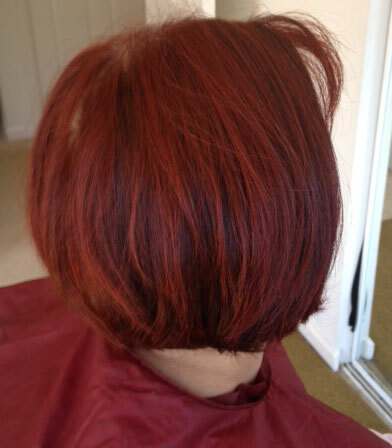 Henna colors hair depending upon the original color of the hair. The blond or lighter hair have a darker reddish brown ting to the hair where as the black hair shows no much of a color difference with improvement in the condition and texture of hair with a healthy shine. Be very careful while buying your henna powder for the hair. Most henna in grocery stores, will yield disappointing results coz henna is perishable, and great care must be taken in storing the powder properly. If it is exposed to excessive heat or moisture, it will lose dye potency. The grocery store owners do not know or care about this, and will let their henna go stale on their shelves. The FAM henna for the hair is picked from the best of the farms , it is enriched with the additional herbs like... Nagar motha, lal- chanoti, Shikakai , Amla and Aritha which are some of the Ayurvedic medicinal herbs( Indian terms). Making the FAM henna for hair unique with best of the results.